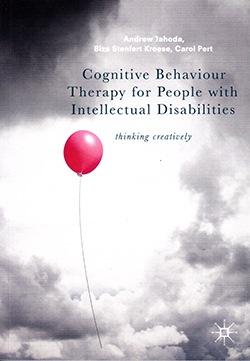 This book provides information on the theoretical underpinnings of cognitive behaviour therapy (CBT) and associated developments such as mindfulness. It is not a ‘how to’ guide to CBT, but rather provides evidence and practice-based suggestions on how to develop and adapt CBT principles and approaches when working with clients with an intellectual disability. The text is well-written, informative and practical. Some of the suggested approaches will be familiar to professionals who already work with individuals with an intellectual disability, for example, using prompts, pictures and objects to help understanding of more abstract and complex concepts. Other approaches are likely to be helpful in the context of providing CBT, such as role play to help the client explore alternative perspectives. Equally, learning disability nurses who are considering undergoing CBT training are likely to find this book a helpful resource.